It doesn’t have to be so ... cumbersome. The conference room is a disaster. Notes cover every inch of the whiteboard. There are pages and pages of notes. Multiple spreadsheets open on your desktop. Leftovers from lunch sit next to the remnants of your afternoon snack. Your eyes are bloodshot and all the caffeine in the world wouldn’t be able to pick you up. You just finished an old-school annual strategy session. And what’s next? 365 days of implementation just to do this all again next year? Doesn’t sound like a very wise use of time or resources, does it? 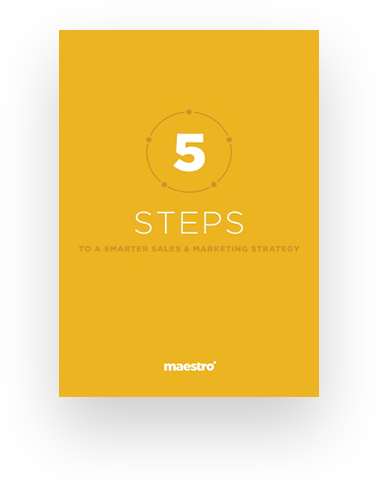 It’s time to get smarter and more effective with your sales and marketing strategy.